Stop by the Outpatient Pavilion at MedStar St. Mary’s Hospital on Tuesday, Sept. 11, 2018, for a blood drive from 9:30 am to 2:30 pm. Call 1-800-RED-CROSS TODAY or go to redcrossblood.org and use sponsor code “MedStar St Marys Hospital” to schedule your life-saving donation. Donors can call Health Connections at 301-475-6019 if they would like more information. Appointments are recommended with allowing a two-hour slot of time to complete the donation. Donors must be in good health, have not donated in the past 56 days and should not have had any piercings or tattoos in the past year. 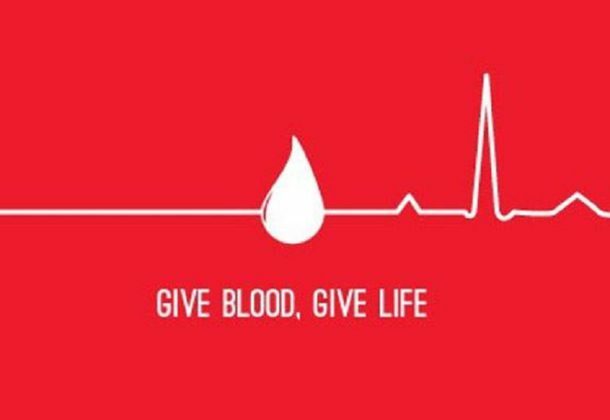 Each blood donation has the potential to save three lives. Donors as young as 16 can donate. The sign-in for the blood drive will be in the Outpatient Pavilion lobby and then donors will be sent out to the bloodmobile. Every blood type is needed. Donors need to bring a blood donor card or a driver’s license, or two other forms of identification to check in. Donors must be at least 17 years old, or 16 with parental consent; weigh at least 110 pounds; and be in general good health to donate. For information about the Sept. 11 blood drive or to make an appointment, download the American Red Cross Blood Donor App, go to redcrossblood.org or call 1-800-RED CROSS (1-800-733-2767). The hospital is at 25500 Point Lookout Road in Leonardtown. MedStar St. Mary’s Hospital in Leonardtown is a full-service community hospital, delivering state-of-the-art emergency, acute inpatient and outpatient care. MedStar St. Mary’s provides advanced technology with a dedication to excellence in all services provided. The not-for-profit hospital has been named among the nation’s Top 100 Hospitals and is an eight-time recipient of the prestigious Delmarva Medicare Excellence Award.